Bored of reading about Liverpool’s left-back situation, injuries on international break or who’s said what in the Raiola/Balotelli/Carrager/Klopp spat? 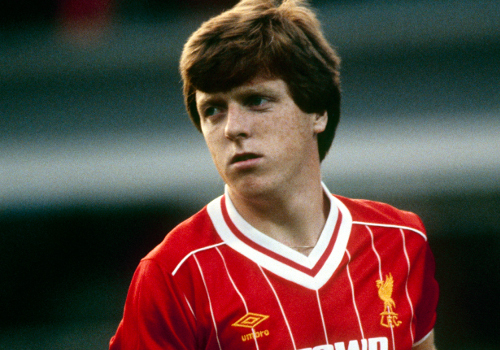 So are we – so while we’re patiently waiting for the first game in front of the New Main Stand, at home to Leicester on Saturday – this story in Steve Nicol’s new book: Stevie Nicol: 5 League Titles And A Packet Of Crisps – should keep you entertained! The 54-year-old played for Liverpool between 1981 and 1994 and is rightly regarded as one of our greatest ever fullbacks, wining domestic gongs aplenty and a European Cup to boot. In this tale, serialised by the Mirror, Nicol explains the time he voluntarily set team-mate Gary Ablett’s wife’s head on fire! “I ended up sitting beside Gary Ablett’s wife at the time and after the meal (washed down by several bottles of beer) I was lighting up a cigarette at the table while, at the same time, staring at Debbie Ablett and her huge lion’s mane of hair. “Like a child, I was fascinated by it. “It went up like a ball of flames. “I started bashing her on the head with my hands, to try and put the fire out. “‘What the hell are you doing?’ enquired Gary, understandably, with more than a hint of anger in his voice. “Thankfully, I was able to stop the flames before they caused too much damage. Well, that’s one way of getting over a bad result, we suppose! We’re just surprised Ablett reacted so calmly… He would have been forgiven for getting physical, considering Nicol had just set his Mrs alight! Ablett tragically died of non-Hodgkin’s lymphoma in 2012, aged just 46. He remains the only player to win the FA Cup with both Everton and Liverpool – a man loved on both sides of Stanley Park.